SCVHistory.com FF9701 | Tataviam Culture | Siblings Ted, Caroline & Dolores Garcia, Panorama City ~1997. 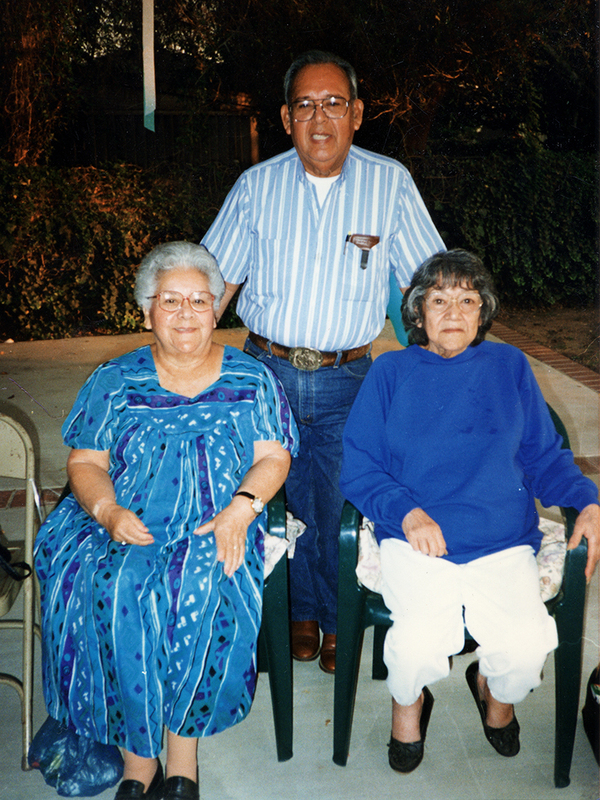 From left: Siblings Caroline Francis Garcia (1923-1999), Ted C. Garcia (1920-2008) and Dolores Ramona Garcia Guerrero (1926-1999). At the Panorama City home of their niece, Geraldine Romero Perez, ~1997. 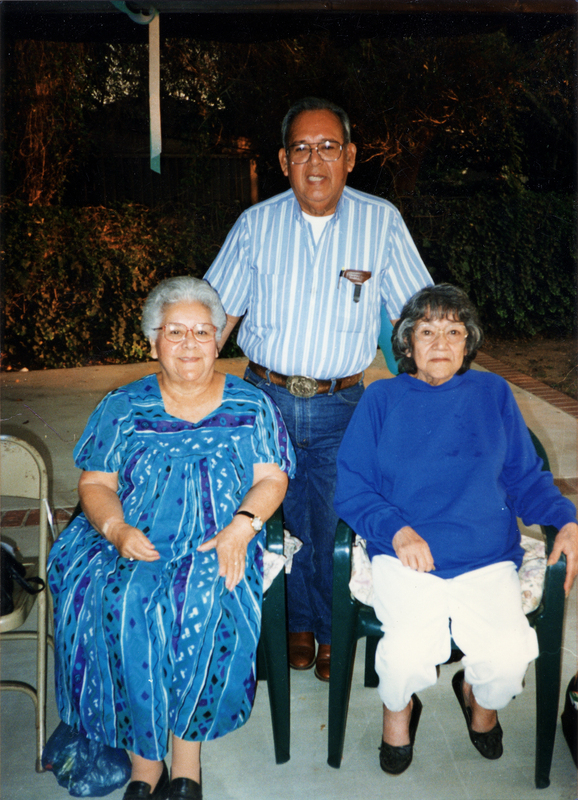 Three of the children of Chief Mary Cooke Garcia (1901-1975), whose ancestry can be traced to individuals who lived in the Santa Clarita Valley prior to European contact in 1769. FF9701: 9600 dpi jpeg from photograph courtesy of Geraldine Romero Perez.